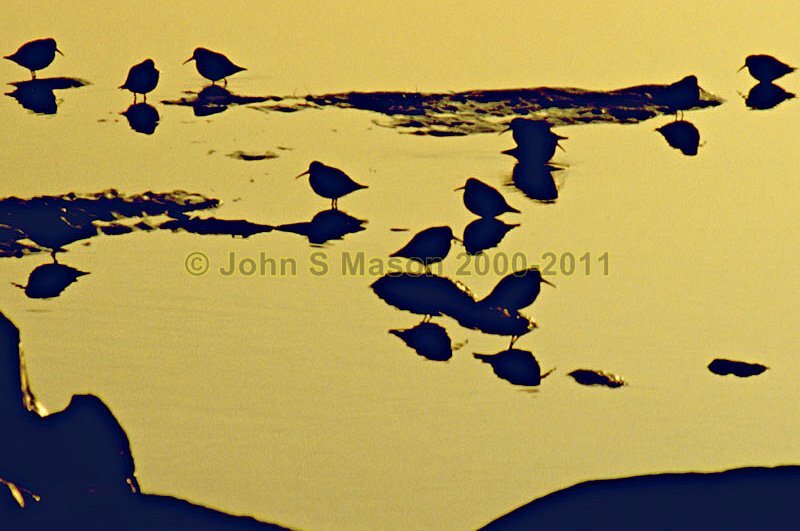 Dunlins in a scour-pool at the "fossil forest", Borth Beach, at sunset. Product number 2000-2009079. Email me to enquire about this image: click HERE.